In fact, falling dreams are considered as a popular theme at bedtime. If we or our beloved members have been experiencing this kind of dream at night, “What does it mean?” may be the first question we are thinking of, right? According to some dream analysts, dreaming about falling is able to have the physiological basis. When our body tends to drift deeper into sleep, our nervous system tends to begin to quiet down, and our blood pressure and heart rate tend to drop, the physiological shift is able to trigger the falling dream that makes us suddenly awake. Nevertheless, in some cases, falling dream may be the symbolic way of our mind that alerts us – the dreamer – to the circumstance in our waking life where we feel out of the control or where everything is literally quiet. 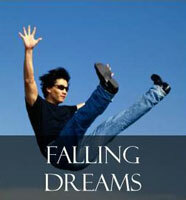 On a regular basis, the dream about falling can denote the insecurities, our fears and unstable life. In general, falling is often dreamed at the first period of the sleep. During this stage, those who dream about falling will be influenced by the spasms of the muscles like arms, legs, and the rest of their bodies. 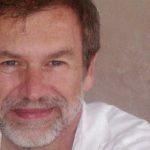 Often, once we are dreaming of falling at the first stage of the dream, we can immediately wake up due to the protection of the conscious mind whereas suffering from the spasms of the muscles. The truth is that everyone has their own insecurities, and some of them could make the stronger impact than others. Maybe the dreamer doesn’t prefer some parts of her appearance, or perhaps she is afraid of a specific individual, job or upcoming event that she is dealing with at the moment. The pressure, stress and strain are all experienced during the day; thus, this dreamer may not have a nice rest and sleep. At times, we fell since we slipped on the surface. According to some dream interpretations, such dream often symbolizes the really slippery surface that we are walking on at that time. Hence, it is time to consider what circumstance of our life we are at the moment because this form of falling dream wants to warn us that we should be careful, and don’t take any risk, otherwise we will fall. The dream can indicate the balance we have now while dealing with our life. If we lose the balance which causes us falling down, such dream is apt to reveal the unbalance we have within ourselves. Try to ensure that we know what aspects of our personality we are unbalanced with. In case we can find the primary issues, we will be able to be more stable, and do not fall down again. Actually, the act of pushing can disclose that we feel the strong pressure by someone, or even we are pushing us for some particular reasons. Perhaps we have the high expectations for ourselves, and then do anything to achieve the targets we are aiming for. What should we do at the present time? In that case, the dream may suggest us to take everything a bit slower or we can fall down. Besides, the falling dream can also indicate that someone is attempting to put pressure on us. At that moment, it is better to stay away from these ones, or they can harm us any time. In any situation, dream of falling will warn us some possible events which can happen to us soon. As a result, try to pay much attention to its interpretation so that we can know what we should do next. To know further details about this topic “Dream Interpretation About Falling” feel free to let us know all of your ideas by leaving them in this contact form below.